Want a peek at the CCHR? See the teasers below! The Community College Humanities Review (CCHR) journal, published biannually by the Community College Humanities Association (CCHA), has gone through an extensive redesign and reevaluation of editorial content. Along with the publication’s historical penchant for outstanding peer-reviewed scholarship, CCHR is now publishing essays on pedagogy, faculty profiles, book reviews, columns, fiction, poetry, and first-person reflections on life as a community college humanities professor. Further information on our Submission Guidelines below. For “conventional” humanities disciplines such as history, philosophy, literary studies, composition, comparative religion, and ethics, CCHR provides the latest in research and pedagogy. The publication also leads the charge in expanding the definition of what studying the humanities may come to mean in the future. CCHR intends to explore, from a humanities perspective and with the intention of building bridges with other disciplines, such subjects as climate change, income inequality, environmental racism, terrorism, sustainability, media literacy, and biotechnology. With expanded editorial content, CCHR is better able to serve CCHA’s members, as well as reach the larger higher education humanities community. CCHR is the go-to for the past, present, and future of humanities education in community colleges. Since the re-launch, CCHR has assumed its position as the signature publication of the Community College Humanities Association and be a welcome and important contribution for any individual and/or institution where the humanities are taught or explored. Edited by Sydney Elliott, The Review is available via Amazon by clicking the link below. Additionally, more information about our Submission Guidelines can be found HERE. Get the Community College Humanities Review Journal (CCHR) delivered to your library; it’s easy to do! Masyn Phoenix, Library Director at Tillamook Bay Community College, is here to tell you how just how easy it is. “Subscribing to the Community College Huamnities Review is easy. 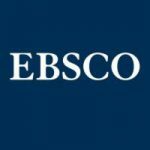 Just ask your friendly neighborhood librarian to subscribe for you through EBSCONET. ISSN# 0748-0741.” Thanks, Masyn! CCHA Members: Read a Digital Copy Now! The Community College Humanities Review is published by the Community College Humanities Association (CCHA). The goal of the journal is to highlight the scholarly and creative work of community college humanities faculty. The editor encourages progressive approaches to writing about the humanities in community colleges, welcoming but also questioning conventional subject matter while inviting community college humanities faculty to take a fresh look at, for example, culture, the environment, the politics of food, climate change, genetic engineering, whatever new challenges a humanities mindset may help, in an integrated approach with other disciplines, to solve. The Community College Humanities Review strives to be the go to publication for community college humanities scholarship and creativity. Please query CCHR’s editor, Sydney Elliott, at sydneyelliott@tillamookbaycc.edu. Submissions will only be accepted through email in MS Word, 12 point, Times New Roman font, double spaced, left justified, with one-inch margins and page numbers in the upper right corner. There should be no headers or footers. CCHR rarely accepts any work over 7,000 words. Most texts should fall between the 2,000 – 7,000 word range. For additional format requirements concerning research submissions, see below. CCHR accepts well-researched articles by community college humanities faculty. Along with the above writing guidelines, scholar writers should follow MLA format and use endnotes (not footnotes) when necessary. Please restrict the number of explanatory or digressive endnotes that are excessively long. Limit the total number of endnotes to bibliographic references. Use superscript Arabic numbers in text, avoid the use of other symbols like asterisks. Embed tables, figures, charts, graphs into the narrative as close to the in-text reference as possible. Limit the number of appendixes. Essays – CCHR accepts well-written personal experience and critical essays as well as long-form, literary journalism written by community college humanities faculty. Essays on novel pedagogy and teaching experiences are encouraged. Profiles – Creative profiles in the long-form tradition should focus on community college humanities faculty or those who are in some significant way associated with community colleges. Interviews, in Q&A format, will be accepted as long as the interview subject has particular relevance to the teaching of humanities in community colleges. Please query Editor Sydney Elliott. CCHR accepts well written short stories of any genre, generally 1,000 to 7,500 words. Higher consideration is given to quality writing and the ability to tell a good story. Both character- or plot-driven stories welcome for review. CCHR publishes one short story per issue, more depending on the discretion of the editor. Send your best work. No previously published material. Yes on simultaneous submissions. Poets may submit up to five poems in any form. Publication design guidelines prohibit the guarantee of poet-designated line breaks. We’ll do our best to accommodate. 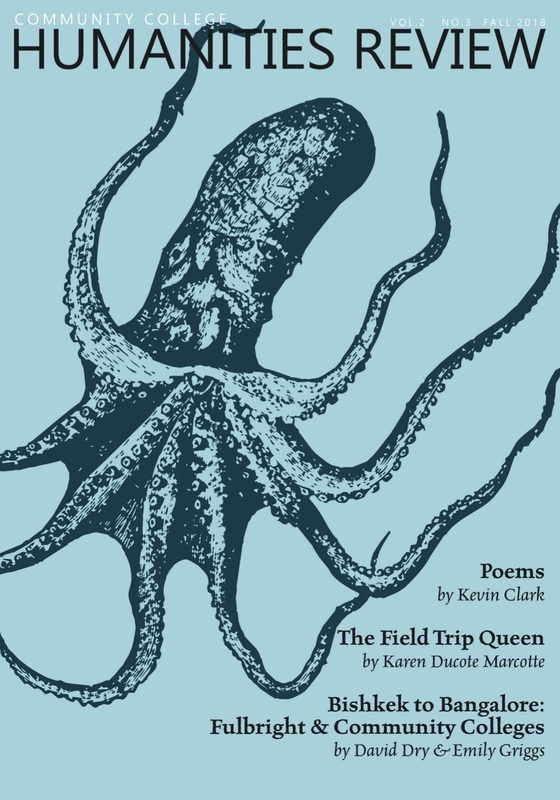 Thoughtful, imaginative poems should resonate. Send your very best work. No previously published material. Simultaneous submissions are ok.
Subject to the editor’s discretion, The Community College Humanities Review accepts photography by community college humanities faculty. Photos may need to be conducive to the thematic content of a particular issue. Retirement affords one more opportunities for reflection including such issues as the humanities and their role in any society. With the emphasis on STEM activities, it is perhaps incumbent upon the humanities to not hide our light under a bushel. As academics we may have overlooked our natural allies in the public arena: museums, historical sites, and libraries. Let us first examine the connections between classroom humanities and museums. Museums are not only for the art faculty. In fact, since art is a reflection of any society at a given time, it provides a sociological and perhaps even psychological insight to the humans of a particular era. Historians are able to use art museums in a myriad of ways. Recently, the McNay Art Institute in San Antonio, Texas, had a small but wonderful exhibit of World War II black and white photographs including some from San Antonio during that event. A colleague took his US History class and discovered the added bonus that the stu- dents had never been to that museum. His efforts brought them additional history as well as a new place for them to visit and explore on return trips. Our district, the Alamo Community College District, has an arrangement with this museum, as well as two others in San Antonio, that allows students free admission with a school ID. It is incumbent upon humanities faculty to encourage the use of museums particularly when cost is not a factor. Philosophy faculty may find Greek art a tremendous aid when explaining the Greek stress on the individual. Any Greek sculpture of the human form is a visual testament to the glorification of the human body. The shift from community orientation to the individual is clearly indicated in most Greek and even Roman sculptural works. If the museum also contains a section on Oriental philosophy, then the faculty members have an ideal comparison/ contrast on the treatment of the human form as well as other variations between Eastern and Western ways of thinking. Want to continue reading? Please consider purchasing a print copy or becoming a member. Riding horseback along the crest of the Terskey Ala-too mountain range, David Dry could see the bright blue of Issyk-Kul, the world’s second largest mountain lake, outstretched below. The January air was crisp, and he was bringing up the rear of a group of horsemen. At their head, a Kyrgyz falconer rode with a golden eagle perched on his arm. They were hunting foxes. Later that evening, Dry returned to the Kyrgyz capital, Bishkek. His marshrutka (routed taxi) drove past the domineering statue of Lenin near Ala-too Square, past the city’s central mosque, past the city heating plant, where all of the hot water for city residents was centrally produced, past Dordoy Bazaar, the second largest bazaar in Central Asia, and past the campus of the International University of Kyrgyzstan, where he taught American history. Finally, it dropped him off a few blocks from his Soviet-era apartment in the heart of the city. Over the last five months, Dry had come to perceive the beautiful complexity of Kyrgyz culture as an accretion of the Soviet, Muslim, and nomadic histories of the Kyrgyz people. His experiences in Kyrgyzstan and newfound cultural understanding were the result of the Fulbright U.S. Scholar Program, which brought Dry from A-B Technical Community College in Asheville, North Carolina to this far flung corner to the world to teach for the 2016-17 academic year. Meanwhile in Bangalore, India, Emily Grigg was discovering an awareness of all of her senses. The sight of the large crowds of people on the broken sidewalks, stray dogs and cows rummaging through discarded debris, Hindu temples and large statues of the gods, market stalls and street food vendors, green and yellow auto rickshaws weaving in between motorcycles, cars, and cows, and people stricken by poverty begging for food or relief appeared in every direction. Oddly enough, these traditional Indian sights were sprinkled among large office buildings housing American tech companies such as Dell, Intel, and AT&T. The smells of spicy Indian cuisine wafted through the air intermingled with the loud and constant sounds of car horns beeping through the congested traffic in a city that cannot keep up with its increasing population. A new Fulbrighter and first time visitor to India or any Asian country, Grigg knew immediately she was no longer in the familiarity of her home state of South Carolina or her position as an instructor at Spartanburg Community College. Leaving Western fashion and hairstyles behind, Grigg began wearing kurta tunics, churidar leggings, and her hair in a bun. Despite attempting to blend in with the local culture, Grigg found her fair skin and blonde hair always gave her away to locals who would stare and sometimes ask for photographs with her. But the transformation of looks and attempts at assimilating proved easier than the stark realization that rights for Indian women are still lagging far behind what she had been accustomed to as an American woman. Through experiences in classrooms at Christ University where Grigg was a Visiting Teaching Scholar and in the local community, she learned that while she came to teach in India, the locals were giving her a much larger education on how truly far women in the Western and Eastern worlds are from one another and in a much broader sense than just geography. Ty scooted over, treading the edge, the grass slightly yellowed and sunken between markers. He wasn’t a big cemetery fan, having only been to one internment. When his grandparents had died, he’d been taken to the memorial service and then whisked to a cousin’s house for baked ham, cookies and cake, and sodas. His Uncle Rick had died two years ago, and for that, he’d driven himself to the church, bringing his then girlfriend Maria. He’d ended up at a bar with several of Rick’s friends, raising glasses and proposing toasts. But last month, his high school friend Kate died in a freak car accident on Highway 5. A storm, sudden sun, then a thick fog. The perfect conditions for a massive ten-car pileup outside Bakersfield. She’d been on her way home to Seattle from LA, finally giving up on her acting dream. The sum total of her experience? One degree in dramatic arts, four commercials, seven roles in regional theatre, and a stint at Disneyland as a fairy or sprite or something. Her parents had finally pulled the financial support plug. ‘bout to get real, Kate had texted. Time to waitress or go to grad school.